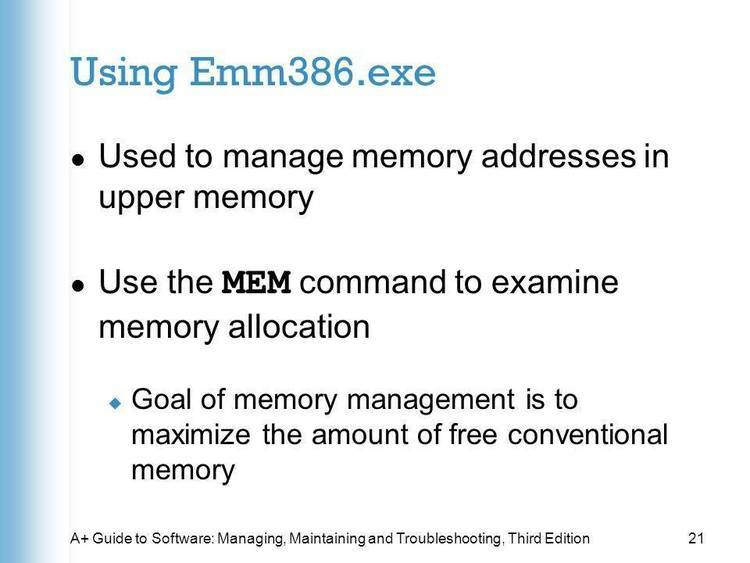 JAMBO is a Device Driver which is designed to make more memory available for you using DOS 5.0 with its EMM386.EXE memory manager. for you using DOS 5.0 with its EMM386.EXE memory manager. adjacent to your current UMB, making it 92k bigger. Memory page frame at E000 instead. much as 220k of upper memory. to load DOS buffers into the HMA. DEVICE=JAMBO.EXE /VA swaps the video code page into Expanded Memory. choice only if /VA does not work for you. giving you another 60k to use with EMM386.EXE. The last 4k must be left alone (that is from FF00 to FFFF). examples show you how to set up JAMBO in different configurations. Upper Memory. JAMBO has moved the video code page into Expanded Memory. manager used to pick up for you. since you can get more memory in a single UMB that way. video page which we have swapped to the HMA (C000) with JAMBO. as an area for the video code page. see which will fit best in each UMB. can make it a better product. copyright software product of Adlersparre & Associates Inc.
receive the latest version of JAMBO, when it is available. $39.95 (a $40.00 savings) when you register this copy of JAMBO. Call for info on other products from Adlersparre & Associates Inc.